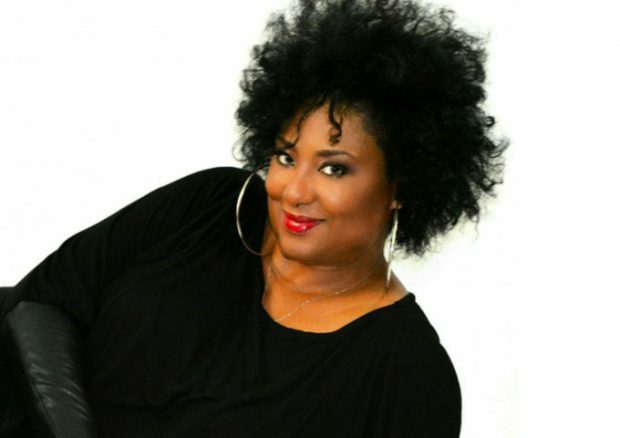 Atlanta, GA – The tantalizing talents of multi-faceted entertainer Toni Redd is in the music spotlight with the new release of her latest gem, Take Me To Paradise, a jazzy, soulful, up-tempo feel good song that features the smooth sounds of renowned saxophonist Walter Beasley. Its a brilliant collaboration that will be a signature standout from her forthcoming jazz project. Her soaring, feel-good vocals coexist harmoniously in the infectious tune. I recorded Take Me To Paradise because I love the song and I wanted to show my listening audience the jazzier side of me, just in case they forgot. Jazz is and always has been my first love. Debuting as a Choice Cut selection for the month of September on soultracks.com, the song is also being presented to the marketplace via a widespread Radio promotion and marketing campaign that will target but not be limited to Smooth Jazz audiences and consumers. Toni’s versatility is a strong point, with her engaging ability to wow discriminating fans of Smooth Jazz,R&B, and Classic Soul. 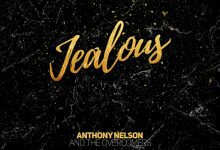 The song premiered on WSRB 106.3 FM Chicago to rave reviews and is now in regular rotation on its Windy City Jazz Program. Among the numerous accolades she has received are the Black Women in Jazz Award for Best Jazz Artist and Music Video for Close to Me from Catching the Redd Eye 2014; Black Women in Jazz Award for Woman of Jazz & Soul 2015; a 2015 Georgia Music Award Nomination; nominee for a 2016 Soultracks Readers Choice Award; and her rendition of Stronger Than Before was chosen as one of the 50 Best Soul Songs of 2016 by Soultracks. Her most recent honor is a Lifetime Achievement Songwriting Award from the Writers Ball. The award-winning songstress has been a desired feature performer at numerous jazz festivals such as the Maui Music Festival, the Atlanta Jazz Festival, and the Blues and R&B Beach Party Festival, just to name a few. She is no stranger on the Domestic and International circuit, having performed with highly regarded musicians such as: Najee, Gerald Albright, Jonathan Butler, The Rippingtons, Marion Meadows, Pieces of a Dream, Alex Bugnon, Angela Bofill, Rick Braun, The Ohio Players, Kirk Whalum, Morris Day and the Time, Everette Harp, The Yellowjackets, Gerald Alston, Stanley Jordan, Brian Bromberg, Steve Cole, lead singer for Fattburger, Chico Debarge, Pamela Williams, The Temptations, Warren Hill, Oleta Adams, The Stylistics, Walter Beasley, Bob Baldwin, Tom Browne, and Kim Waters. Not one to rest on her laurels, Toni Redd progressively refines and elevates her artistry on many fronts, and is creating a catalog that can stand the test of time. Music is instrumental in her day to day, but it is just one part of her multi-dimensional ambitions and pursuits. An enchanting personality, she is an all-around performer and actress, whose voice can be heard on National Commercial Jingles, and acting credits include the independent film Losing Grace, the Tyler Perry film, A Good Man is Hard to Find, and touring with the stage play A Good Man is Still Hard to Find. Retail distributors carrying her music include: iTunes, Amazon.com, CD Baby, and Spotify. A ramped up promotional push has been instituted by Manager Ms. Daryl M. Donald, Esq, to create massive exposure, and opportunities for her artist. A team of Industry veterans is in place; collaborating in unison to secure multi-media placements, show bookings, sponsorships, licensing, and compatible alliances. Based in Atlanta, GA, the Independent music company produces music, video and related multimedia projects. It is creating a solid foundation for its artist to grow in a focused long-term environment.